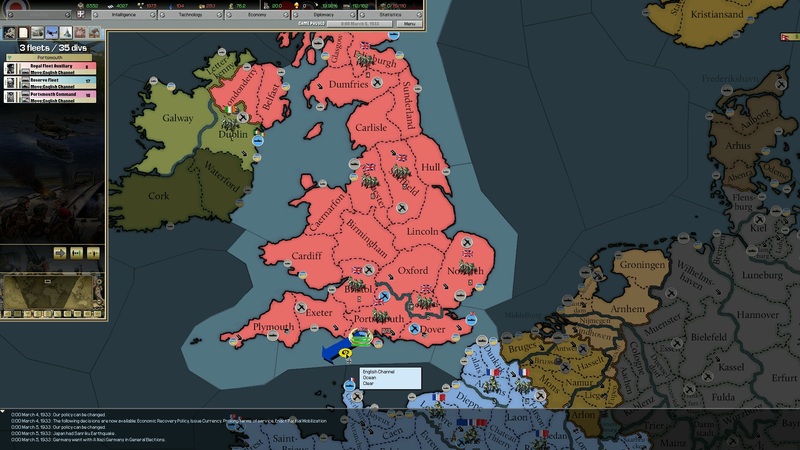 Paradox Interactive, beloved by many for their brilliantly niche historical strategy titles such as Europa Universalis, Victoria and Hearts of Iron, licensed out the Europa Engine used to power Hearts of Iron 2 out to independent modders of their games. 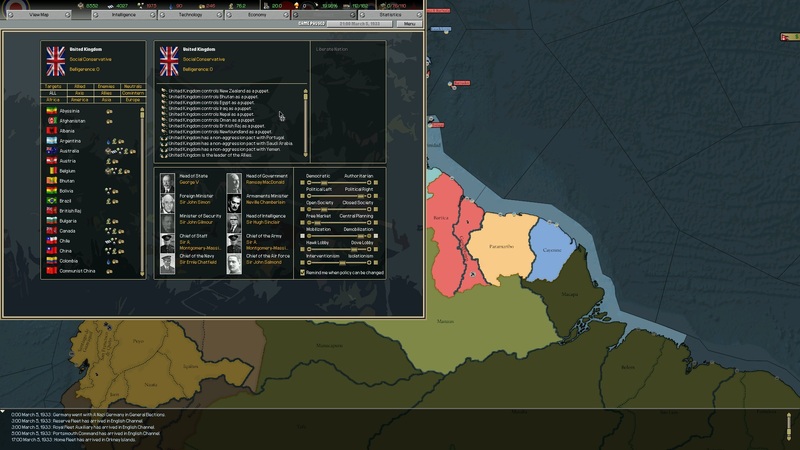 This is how Darkest Hour came about, a fan made evolution to the 2005 game, Hearts of Iron 2. Except it is fully supported by Paradox Interactive and released as a full title. 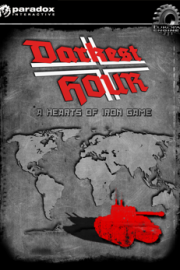 So despite Hearts of Iron 3 having come and gone with expansions of its own to boot, Darkest Hour shows that there is life in the base game of Hearts of Iron 2 yet. 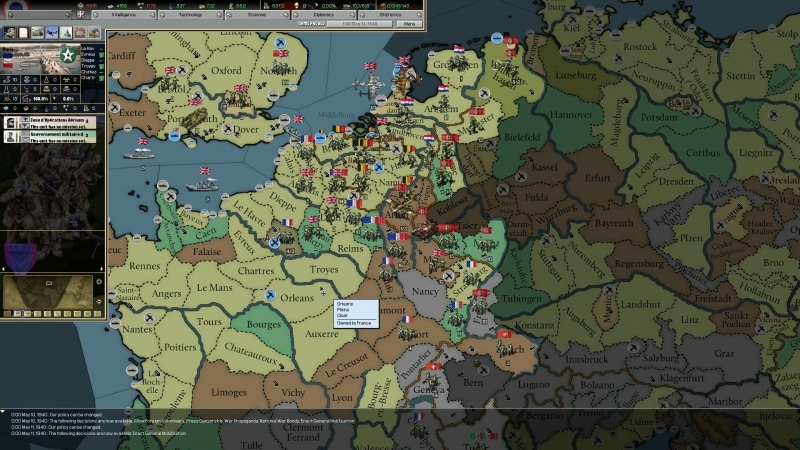 Darkest Hour, at its core, is a real time strategic simulation of the Second and First World Wars, allowing you to rule any country which existed at the time and guide it through these conflicts and more, with plenty of room for alternative history. 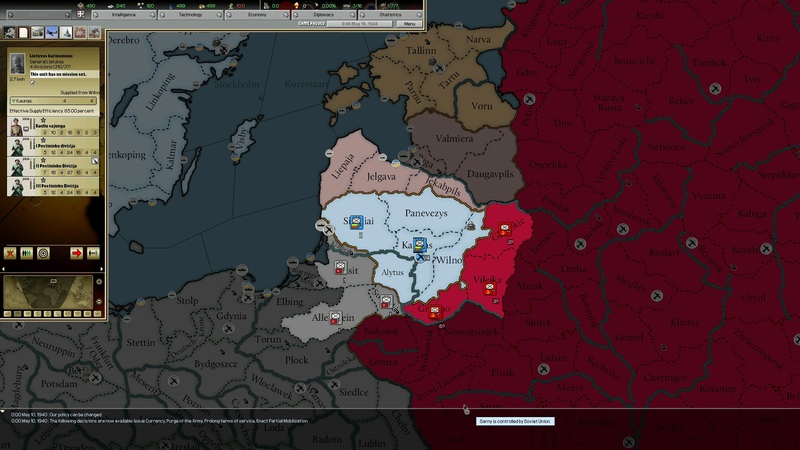 Have you ever wanted to see what the world would look like if Germany and the Axis won WW2? Well start up as Germany and give it a spin, although you’re likely to encounter the same resistance they did along the way. The game is played out in real time, with the pause key being essential. 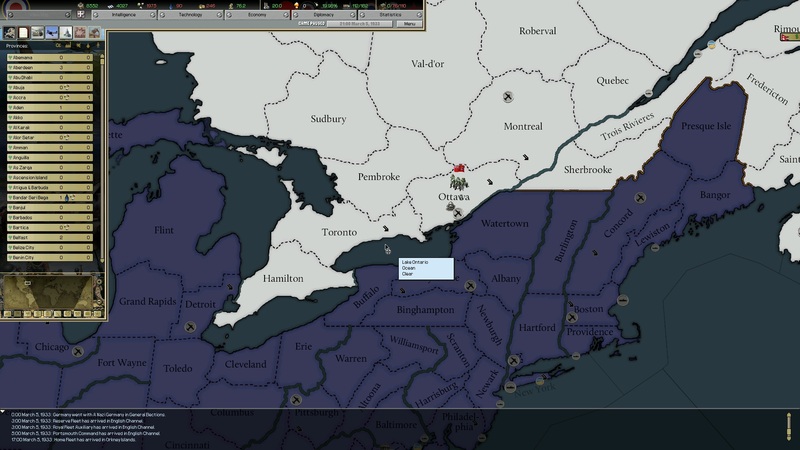 You coordinate infantry divisions, navy fleets and your air force, as well as choosing Government ministers, adjusting ‘Policy sliders’ and managing your economy. On top of that there is diplomacy with other nations, managing trade and resources and did I mention there’s a war on! If this all sounds too much, you’d be half right. 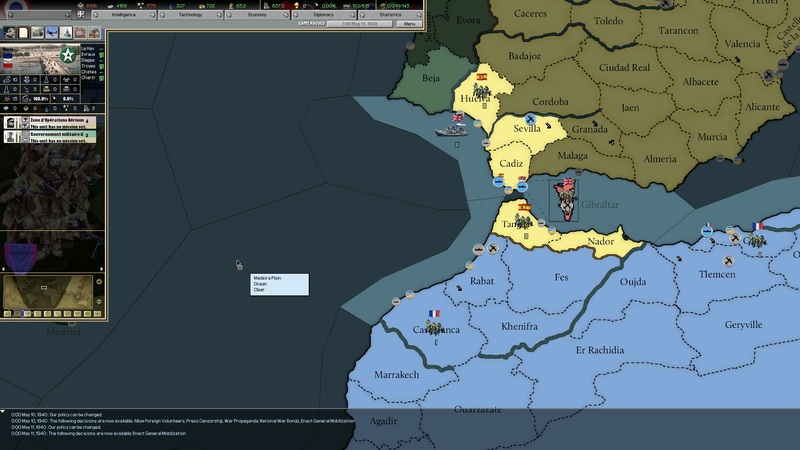 Darkest Hour (and by extension most Paradox titles) are extremely complicated to newcomers, to the point of putting potential players off. Nevertheless Darkest Hour does its best to help you along the way and make the starting process a little easier. It's ok to cheer on the Nazis when you're playing as them! Right? One way in which it succeeds at helping the player, is the engine improvements. Sure, behind the scenes adjustments can be boring, but this engine was in dire need of optimisation, and Darkest Hour is the game which did just that. It runs fast, plays well and looks good. Although graphics aren’t really a priority in a game like this, it is worth mentioning that the game world looks appealing. 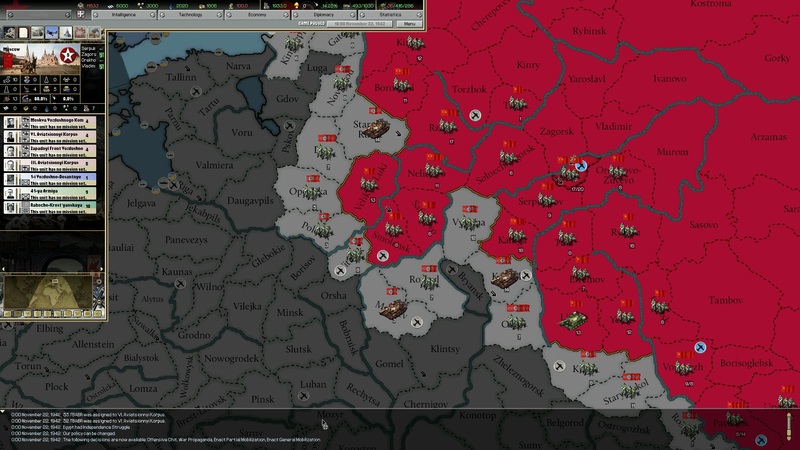 The screen you spend the majority of your time looking at is the map screen. It is a bit like using Google earth, except more colourful and the world is divided into provinces. 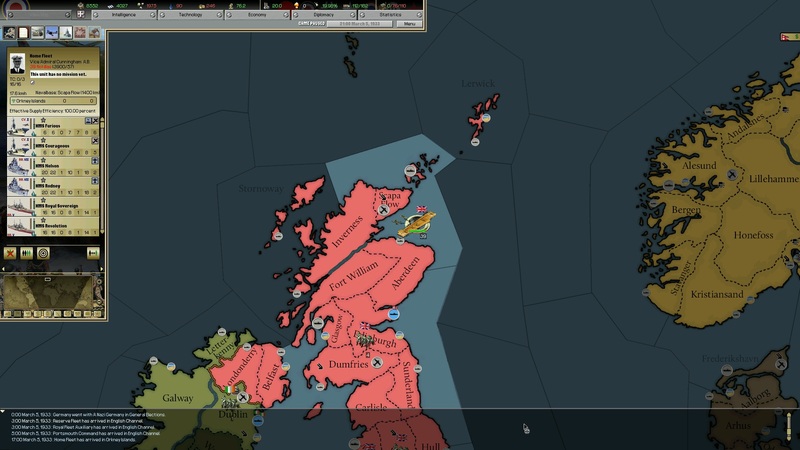 These provinces are how you get things done, whether it be fighting across the eastern front or conducting naval operations in the Pacific. If this all sounds too much like a day at the office for you, I wouldn’t blame you for reaching that conclusion. But once you get past the slightly outdated interface and initially steep learning curve, you’ll find a wealth of content and fun to be had. 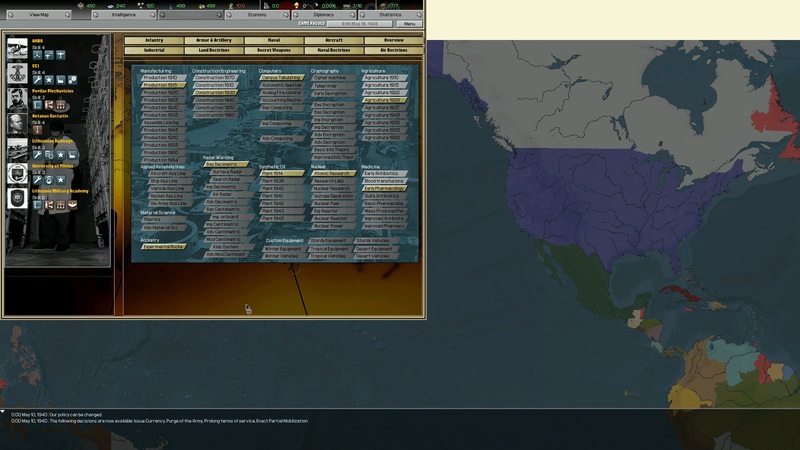 Playing as Japan for example, is brilliant fun. 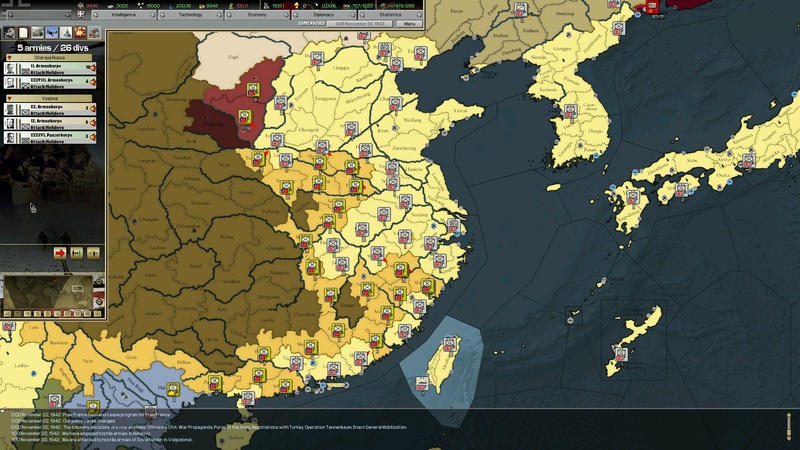 Invading China and managing your armies and strategies isn’t as obtuse as it appears, because if you can break past that first hurdle, you’re away. Within time you’ll be wondering where your evening went as you push into the British Raj and best the American fleets at Hawaii. 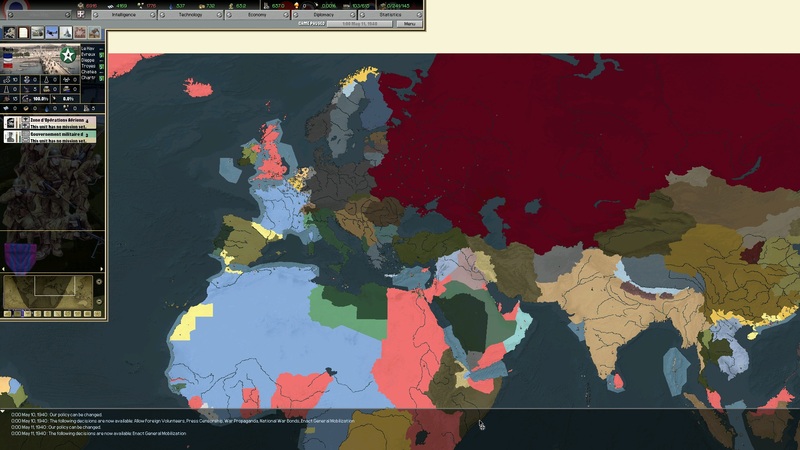 There is a certain thrill to be had with controlling an entire nation, it’s not the same thrill a first person shooter will give, but for those with the patience, it is just as satisfying. A certain little country called Lithuania, we haven't forgotten you! It needs to be said, Darkest Hour excels at what it does, a master class in the genre. But there are complaints. The sound, for instance, whilst striking and fitting at first, soon grates. You’ll hear the same handful of tracks endlessly repeated, to the point where you’ll be turning the music off altogether and maybe even adding your own. The sound affects are just as bad; this is a game with a lot of clicking, so when your clicks result in a fanfare of the sound of infantry marching, this is something which can soon annoy. Furthermore, the level of AI required for a game like this is astounding. Sometimes the Darkest Hour, for all its positives, can fall flat on its face. You will be genuinely challenged at times when an enemy outmanoeuvres you or defeats your divisions, but this can fall apart all too easily. 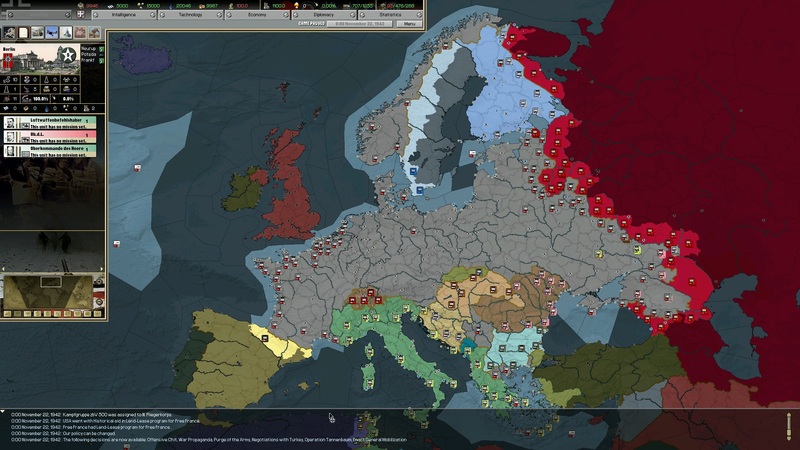 The USA’s AI for instance, can be guilty of incredible acts of stupidity, like leaving the entire country undefended whilst it sends half a million soldiers to invade Greece. These flaws in the AI are present, especially if you follow a far more unhistorical route. But despite this, the AI is an improvement and definitely bearable. It won’t stop your enjoyment that’s for sure. Live out your dreams and crush France in style. Darkest Hour is a brilliant example of a game created with love and attention, by developers who love what they do and fans who are enthusiastic about the end result. 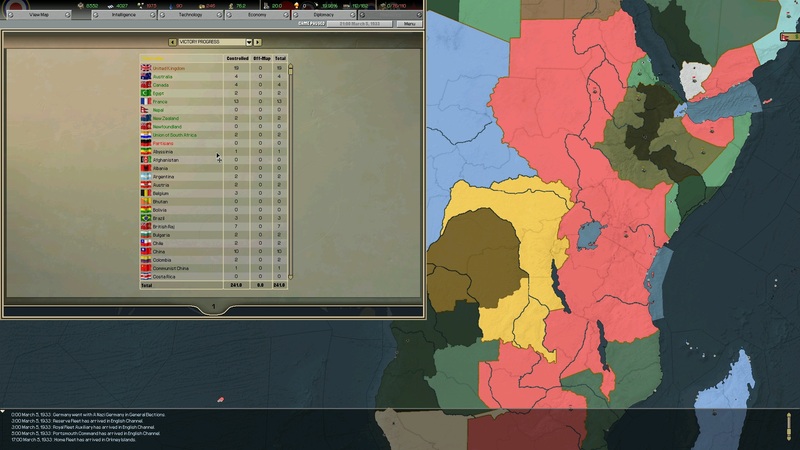 Although there are minor flaws, this game is the best Hearts of Iron experience you can get, plus you’ll be supporting a small team of modders turned developers in the process. Keeps you busy: Brilliantly addictive, aided by a fine eye for historical accuracy. Engaging combat: Executing strategy is fun due to the easy to get into combat system, which still retains the needed complexity. Good performance: Considering the scope of the game, it runs smoothly and very well - even on old machines. Develops who care: The developer support is great, with frequent patches and communication with the fans. Repetitive music: I found the sound to grate at times, but this was after twenty or so hours of play so it may not matter to you. AI issues: The AI is good, but can fail to meet expectations at times - it needs work. Not Without Faults But A Fine Game! 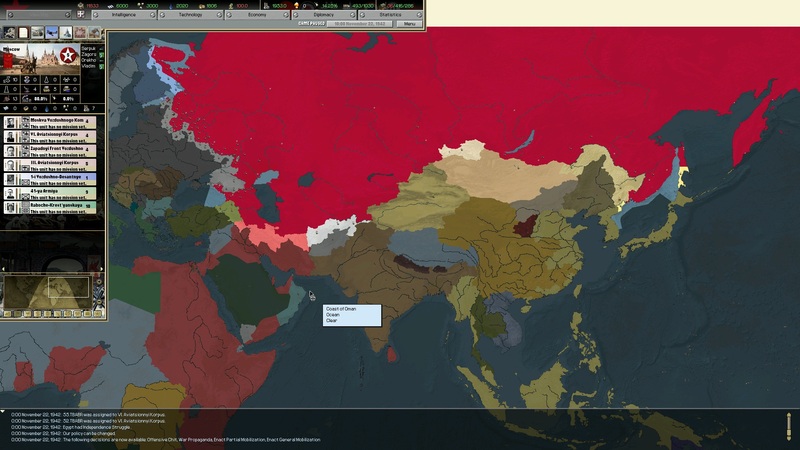 « Change the World with East vs. West« Hearts of Iron IV Gets a Teaser« East vs West Is No More« Keeping up With the Paradoxians« Europa Universalis IV is Coming!